Figure 8. 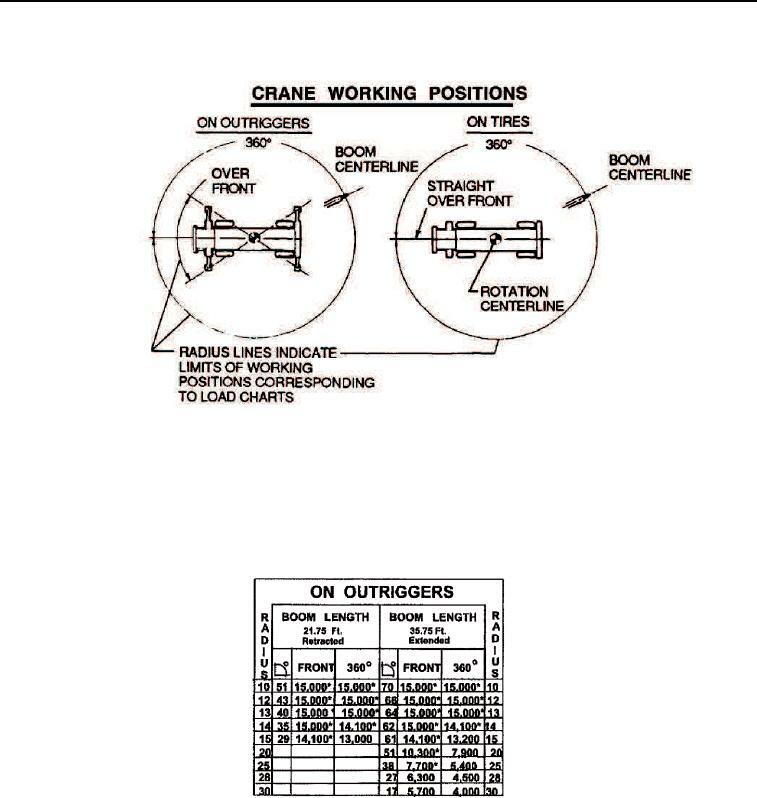 Crane Working Positions. Figure 7. Radius from Centerline of Rotation. Figure 11. Maximum Permissible Hoist Line Load. Working areas are measured in a circular area around centerline of rotation. Figure 9. Lift Capacity (on Outriggers).